While CCTV technologies are commonly used for security purposes, they can also be very useful for assessing the structural integrity of drains, pipes and sewers of various sizes. At Lateral Plumbing Solutions, we can provide professional CCTV inspections in Melbourne that use high-resolution images to identify any defects that need addressing. If you’re concerned about costly leaks or you suspect deteriorating pipes might be affecting drinkable water, we can help put your mind at ease with our civil plumbing CCTV services, including CCTV camera sewer pipe inspection. Our CCTV inspections combine cutting-edge CCTV pipe inspection equipment with conventional techniques to provide comprehensive data about your pipework drainage systems. This allows us to uncover problems with unparalleled accuracy and fix them swiftly to avoid further damage and expenses. We also use the latest reporting software that helps our clients review and understand our CCTV pipe inspection findings. You can look at the reports, videos and photos we’ve compiled so you can be on the same page as our team. 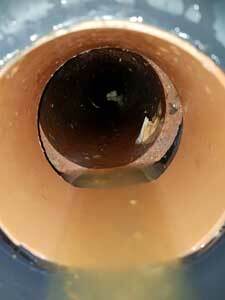 Our CCTV inspections in Melbourne will help guarantee that the quality of your plumbing is at the expected standard. When you require professional CCTV pipe inspection for civil plumbing and drainage systems, contact Lateral Plumbing Solutions. 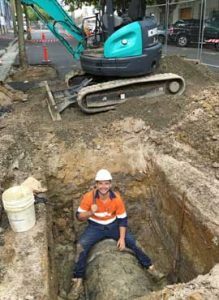 Call our civil drainage contractors in Melbourne today make a booking at your earliest convenience.